Henry Stob married Hilda Margriet DeGraaf on Friday, September 11, 1936. They were blessed with three children. Henry Stob was born in Chicago on June 24, 1908. He was reared in a devout Calvinistic family and educated from the beginning in the Christian day schools that are interwoven into the total religious perspective of his church and community. He graduated from Calvin College in 1932 and from Calvin Theological Seminary in 1935. He took a Master’s degree from Hartford Theological Seminary in 1936, and then went to Europe to study philosophy at the University of Göittingen, in Germany, taking his Ph.D. in 1938. His dissertation, written in German, was an analysis of Max Weber’s sociology of religion. Stob stayed in Europe for a year of postdoctoral study to investgate the efforts then being made by Herman Dooyeweerd and D. H. Th. Vollenhoven to construct a Christian philosophical system. He returned to the United States in 1939 as the war closed in on Europe. Dr. Stob began his academic career as a professor of philosophy at his alma mater the year he returned. In 1943 he entered the U.S. Navy as a lieutenant in the Pacific war zone until shortly after the war ended; he was a member of General MacArthur’s occupation staff in Japan until the spring of 1946. 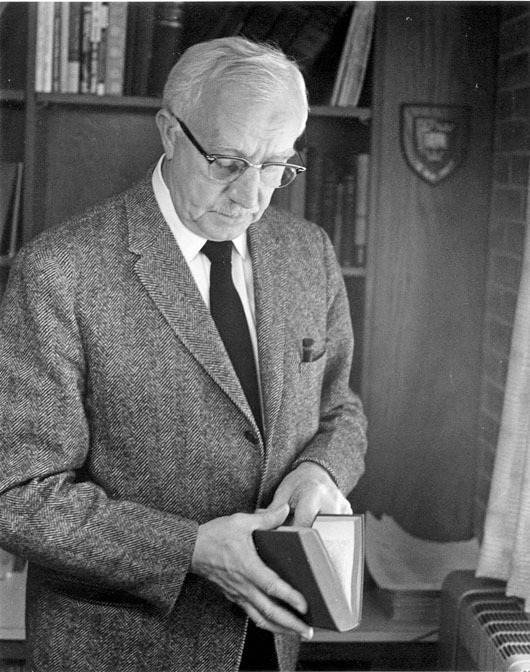 Resuming his teaching at Calvin College on his release from the Navy, Stob remained there until 1952, when he was appointed by the Synod of the Christian Reformed Church to teach philosophical and moral theology at Calvin Seminary. There he taught, with a year’s interruption as a visiting professor of ethics in the Kobe Reformed Seminary in Japan and the Hapdong Seminary in Seoul, Korea, until his retirement. He received the Calvin College Distinguished Alumni Award in 1976. Dr. Stob died on May 27, 1996. He is survived by his children, Ellen and H. Richard, and five grandchildren. Hilda Margriet (DeGraaf) Stob died on August 26, 1999. She is survived by her children, Ellen and H. Richard, and five grandchildren.